Hello everyone! I wanted to share my happy mail with you from the All Things Tim Yahoo Group. I received my July ATC swaps! It's so great to see other people's work up close and personal! And, here is mine again. Very nice I love the black embossed statue of Liberty one ! What fabulous ATCs - there's so much crafty talent out there! 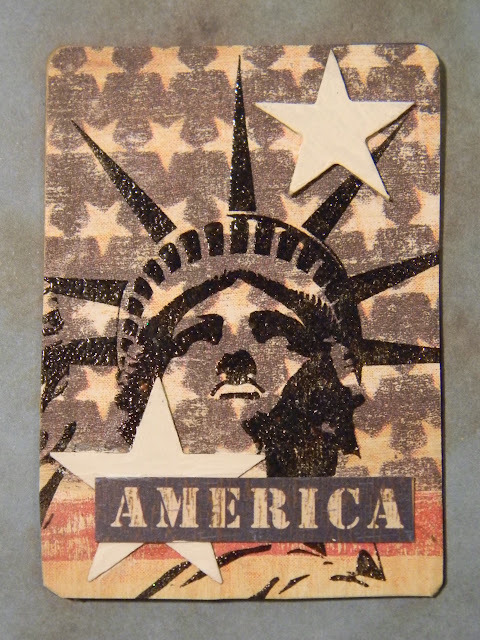 Terrific ATCs, love the textures & backgrounds. 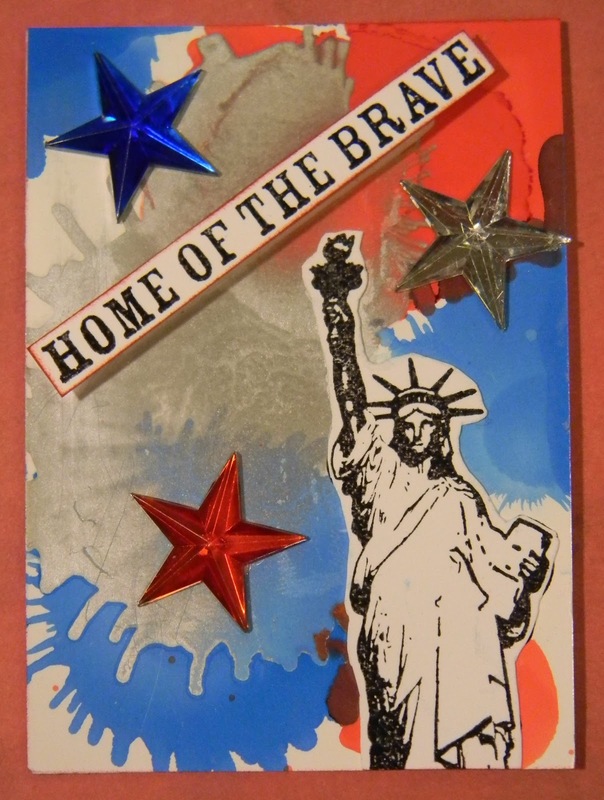 I am so honored to have my ATC posted on YOUR blog. 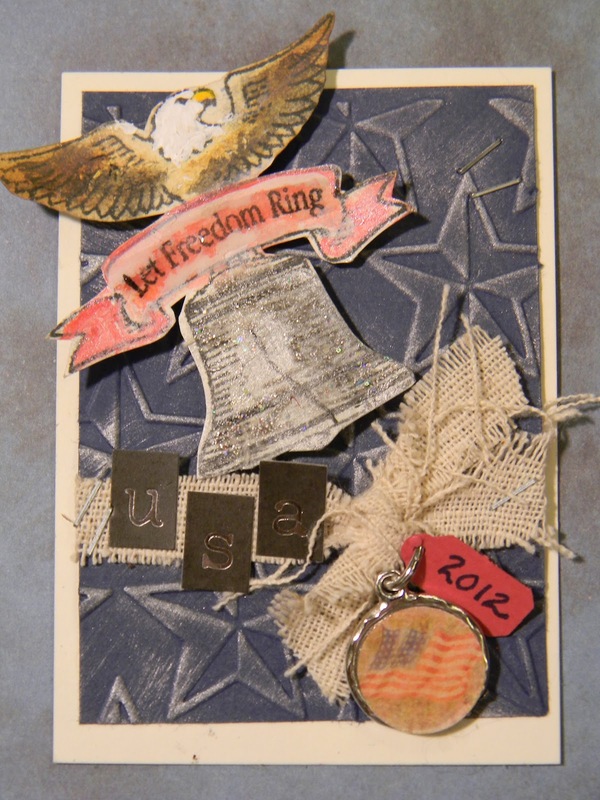 The ATC swaps are so much fun and always full of inspiration. Always want everyone's ATC not just 3!! Can't wait to see the travel ATC's for August's swap. Gorgeous ATC's! Love them all!